While booking Discount flights to Bangkok, it would make perfect sense to spend an hour or several deciding what you want to do while on holiday. Planning ahead is certainly advisable since there’s so much to do and first in all of the other details is to book a Discount Flights to Bangkok– if you don’t prioritise, you’ll find you don’t see half of what you actually wanted to! With great discount flights fares in Economy class, Premium Economy and Business Class to Bangkok, its a good time to plan your holiday to Bangkok. Don't Wait ... 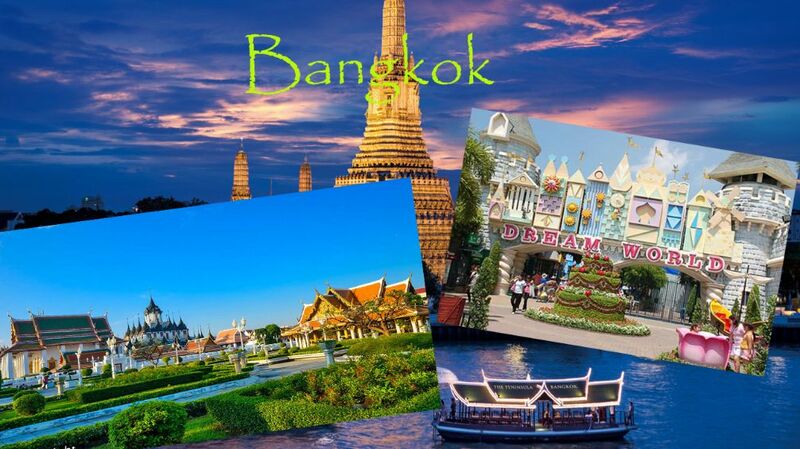 Contact us to book your Discount flights to Bangkok. Here are a few of our favourite sights and sounds in Bangkok to help you get off on the right foot. You have to visit this market at least once in your life, even if you don’t buy anything. The range of goods available is quite astounding – you can pick up basically anything your heart desires, from old-school vintage pieces to baby animals! You should probably plan an entire day around the market if you can because there’s so much to see and do – but get there early to beat the hordes of tourists. If you want to get away from the hustle and bustle for a bit, then Lumphini Park is exactly the safe haven you’re looking for. Keep your eyes peeled for the giant monitor lizards roaming around (which the kids will love), while the playgrounds will keep them well entertained and you can even spend lots of time out on the water in a paddleboat… amazing! Get there in the morning so it’s nice and cool. Looking for a Buddhist temple? This is an absolute must-see in that case, with some seriously incredible architecture to check out. You’ll also find the Grand Palace (which used to be the royal residence) attached to the temple complex itself, so you’ll definitely have a whole day’s worth of activities here if that’s what you’re looking for. Watch out for the Ramakian murals – there are 178 of them so you won’t be able to miss them! They depict the Ramakian in its entirety, starting with the story of hero Rama and his bride Sita. They’re banished to the forest by the evil king Ravana, who later disguises himself as a hermit in a bid to kidnap Sita. Rama then joins forces with a monkey king to rescue his bride, with the two reunited after a bloodthirsty battle! What’s also particularly great about the mural area is that it’s relatively uncrowded and can be the perfect place to get away from the hot midday sun. As intrepid explorers of this wonderful planet, it’s no surprise that so many of you are keen to discover delights that others may have missed while on Bangkok cheap holidays and other trips away. There’s nothing quite like getting off the beaten track – so here are our top picks of unusual experiences to include on your Bangkok holiday itinerary this year. It’s always a good idea to include at least one museum trip on your list of things to do while on holiday but if you’re after something a little different, this Forensic Museum might be just up your street. You can find this inside the Siriraj Hospital near the Chao Phraya river, home to some seriously disturbing artefacts you’re unlikely to find elsewhere. There is, for example, cabinets and glass cupboards full of skeletons, insanely long tapeworms and even a 35kg human testicle that was affected by elephantiasis. One of the best ways of getting to see Bangkok and really get a feel for how people live in this part of the world is by booking yourself on a tour of the canals on one of the really beautiful long-tail boats to be found in Thonburi. Lots of people still live along the canal edge and it’ll really show you what Bangkok life is all about beyond the city streets and skyscrapers. Make your way to the outskirts of the city and you’ll find the Wang Saen Suk garden, full of incredibly intricate statues depicting Buddhist hell. This is actually the biggest hell garden to be found in Thailand and it certainly makes Buddhist hell look like somewhere to be avoided at all costs. Depictions of people having their heads replaced by that of animals, being disembowelled by birds and being boiled alive in huge cauldrons can all be found here… perhaps not somewhere to take the kids. You’ll probably need to meditate after an hour or two wandering around the hell garden. and luckily, Bangkok is the place to go for meditation. Check out the Little Bangkok website for details of all the meditation events that take place across the city each day (helpfully, it’s in English so you won’t have much trouble). To book or for more information on discount flights to Bangkok, call our highly experienced senior travel consultants on 0203 727 6363 today! For more information on discount flights to Bangkok, call us at 0203 727 6363 today!